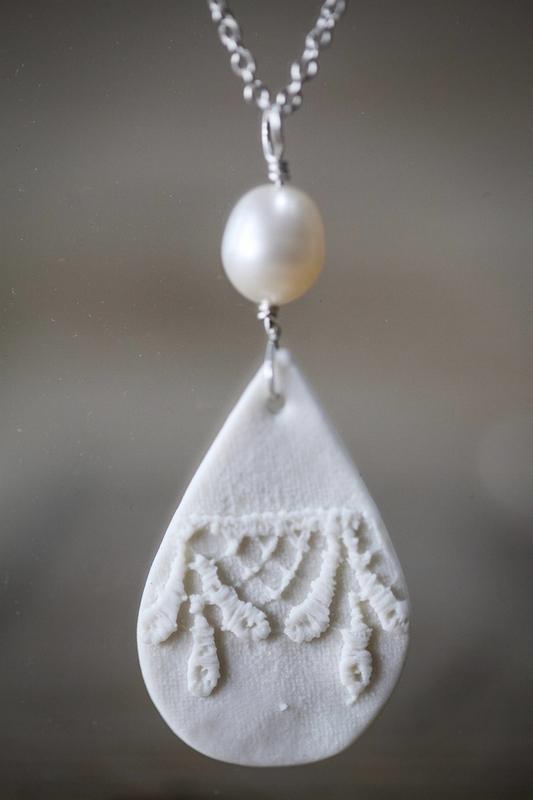 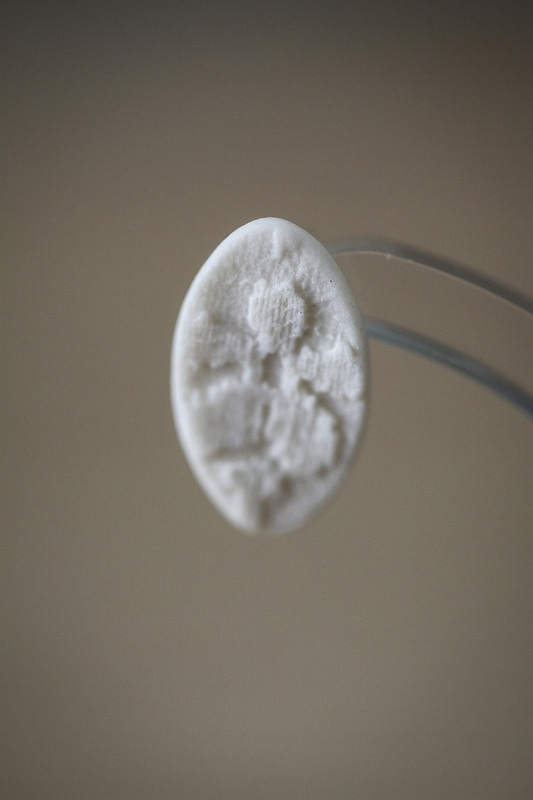 Porcelain Teardrop with Lace Textured Silver- total drop length 5cm. 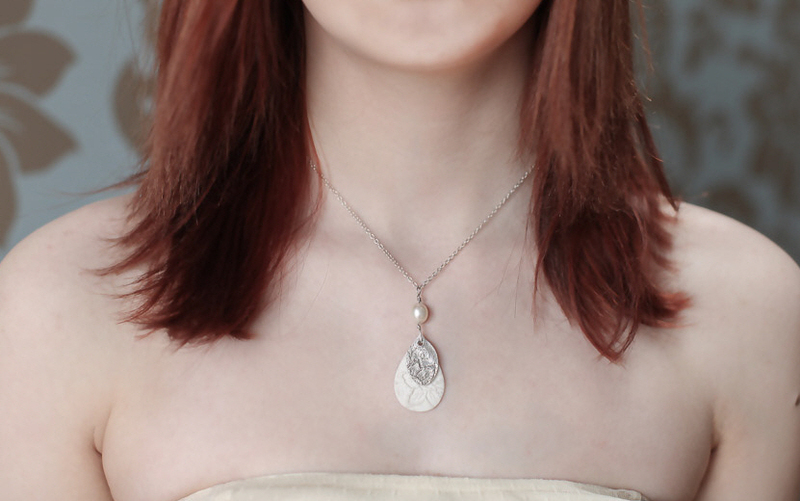 Pendant comes on 16″ sterling silver chain. 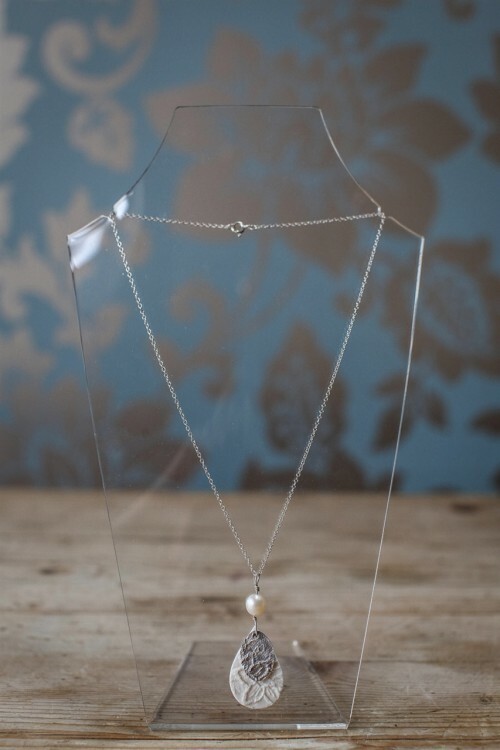 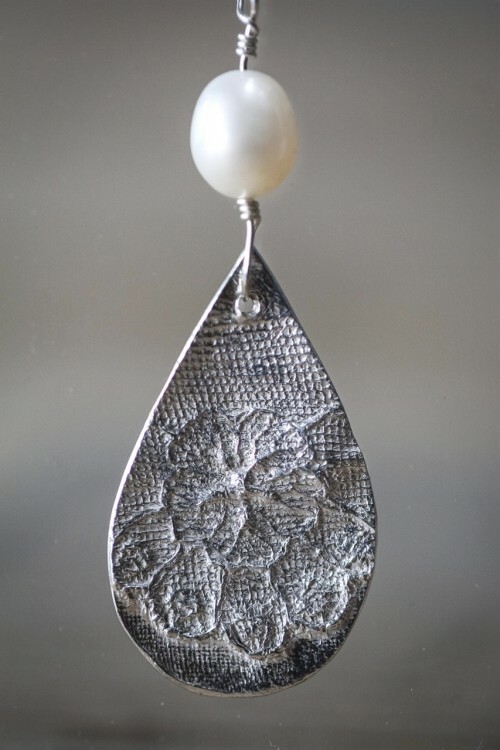 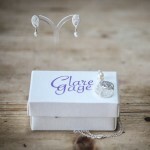 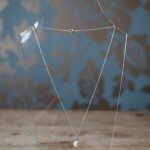 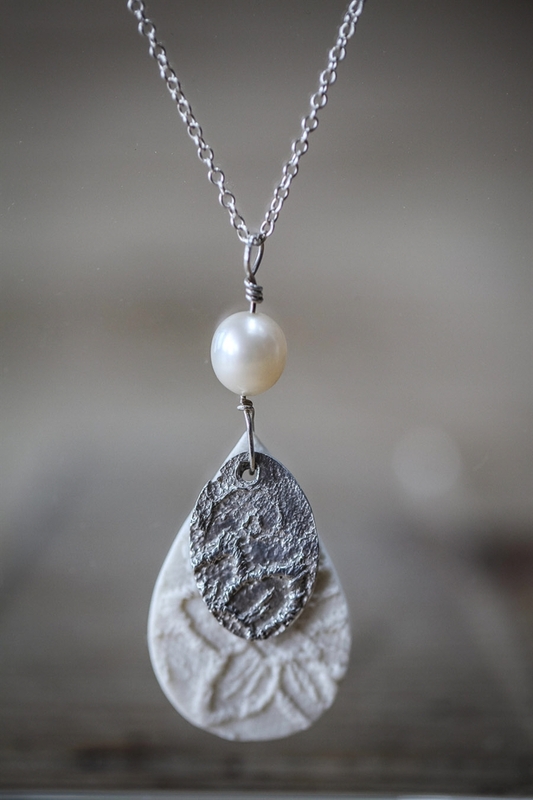 Silver & Porcelain teardrop necklace – Clare Gage brings her textile textured style to silver & porcelain combined with pearls to create a range of modern classic necklaces. 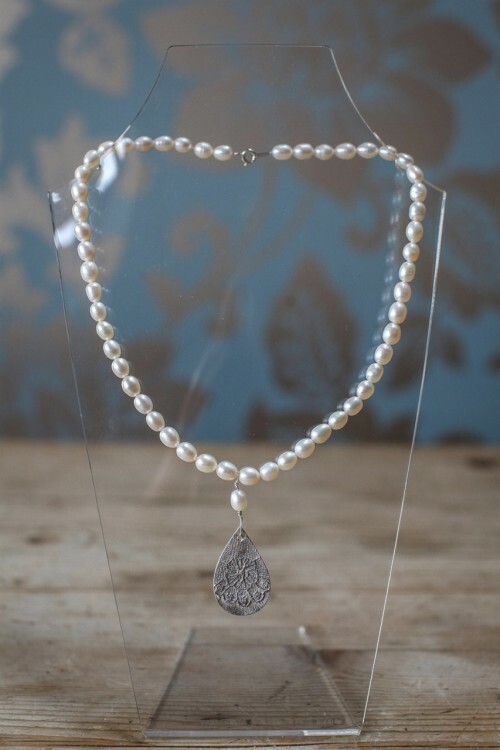 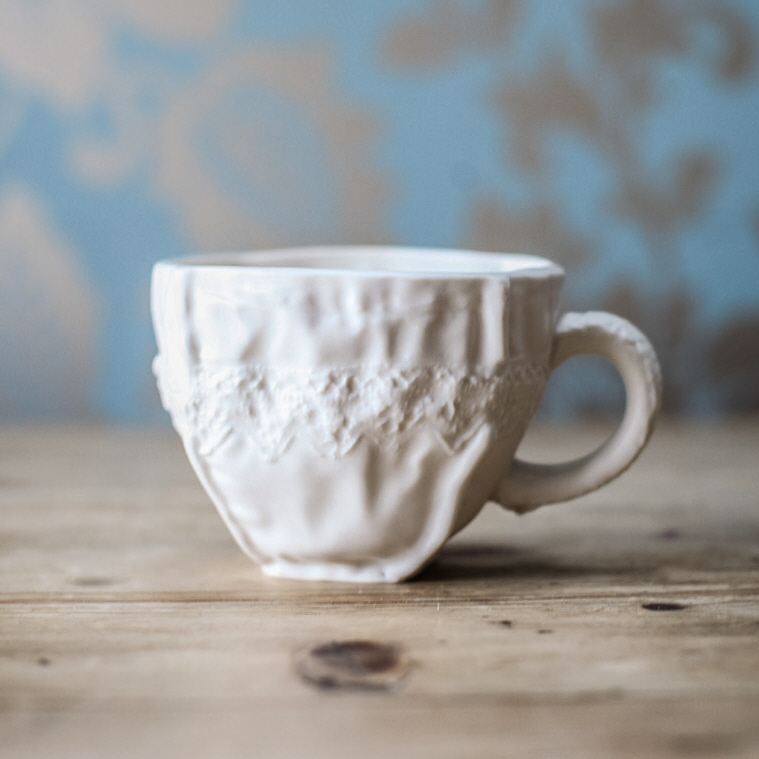 The texture has been taken from lace and the fine detail comes through beautifully on both the silver and the porcelain creating a range of delicate and stylish necklaces.